There are 87 posts in this topic. You are on page 1 of 2. 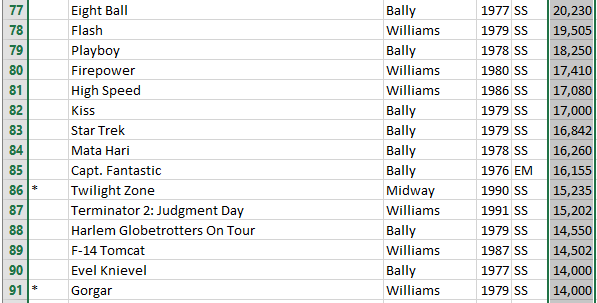 I received a list of their pinball machines from Chuck Casey which I'm converting into an Excel spreadsheet (it is just plain text) so I can organize what I want to play. I'll share that when I'm done. Have to get my car in shape for the drive from Colorado. And pick routes, that's half the fun! Guess they aren't open day-to-day, just for special events. Shame. I asked people in the know about how this place operates without having regular hours. 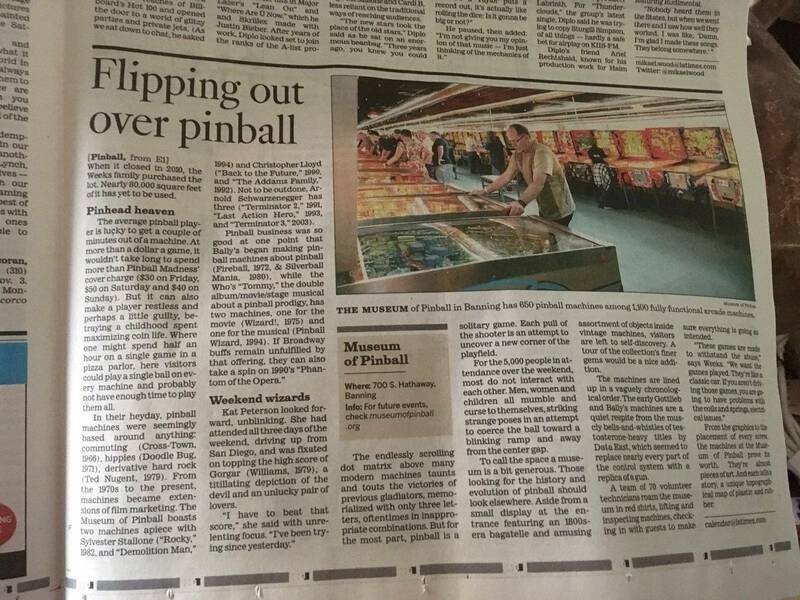 I was told that it is rich guys who want a place to store their pinball machines. Fair enough. I guess in addition to the two annual events they also host private parties.
. 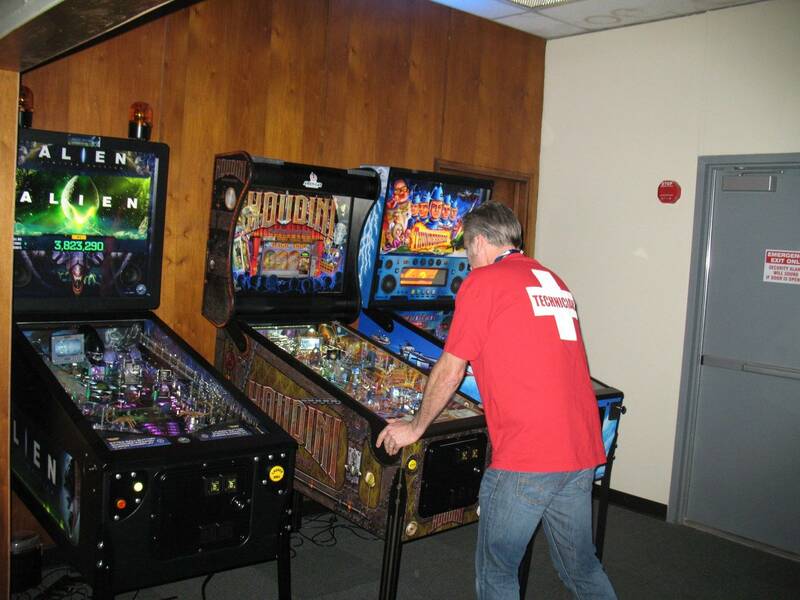 I was told that it is rich guys who want a place to store their pinball machines. Fair enough. This is a private collection 30 years in the making. Yes, only have two large events a year. Yes, can be rented for private parties. They also hold a few Charity events throughout the year. It takes a village. 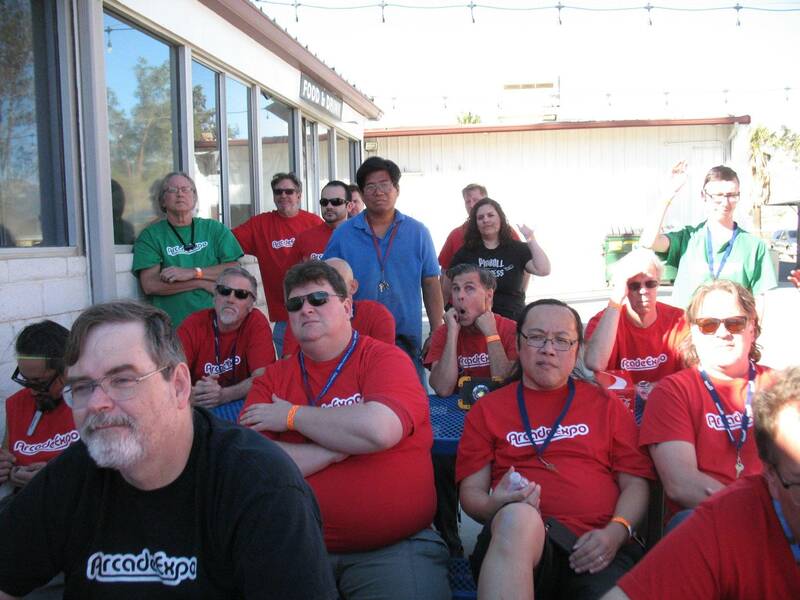 We have Several amazing people that organize our tech days and growth. 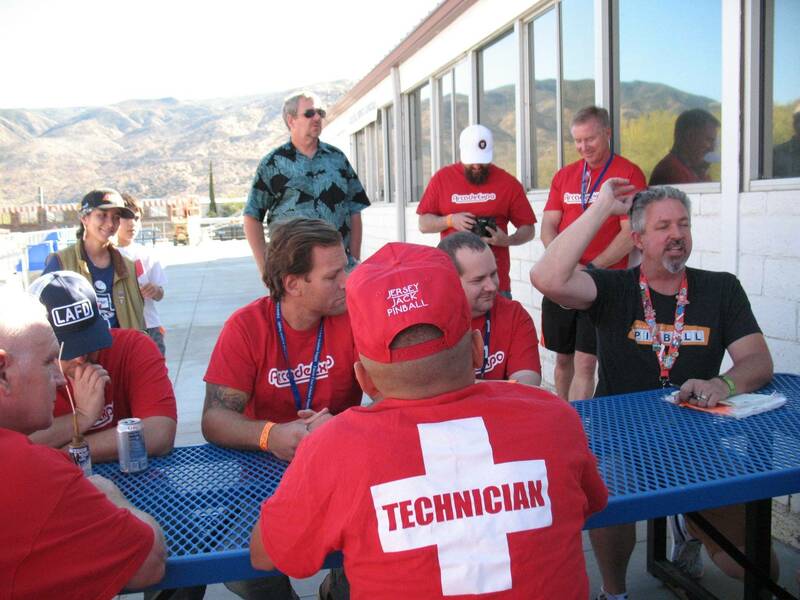 There is roughly 70 volunteers to help with maintenance and we have monthly tech days to keep everything in shape. The place is a Sight to see and hard to believe its all under one roof. Ill be there all 3 days with my red "Tech" shirt on. Come say Hi, love to meet you. Eric, thanks for sharing this - I sit corrected. 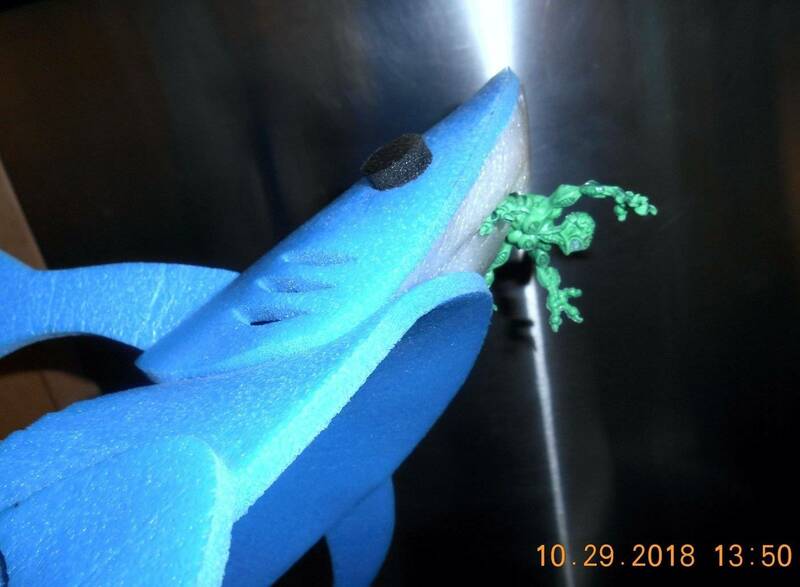 This is a much better story anyway. The guy I was talking to goes to all the trade shows, expos & festivals but maybe he has never been to Banning. 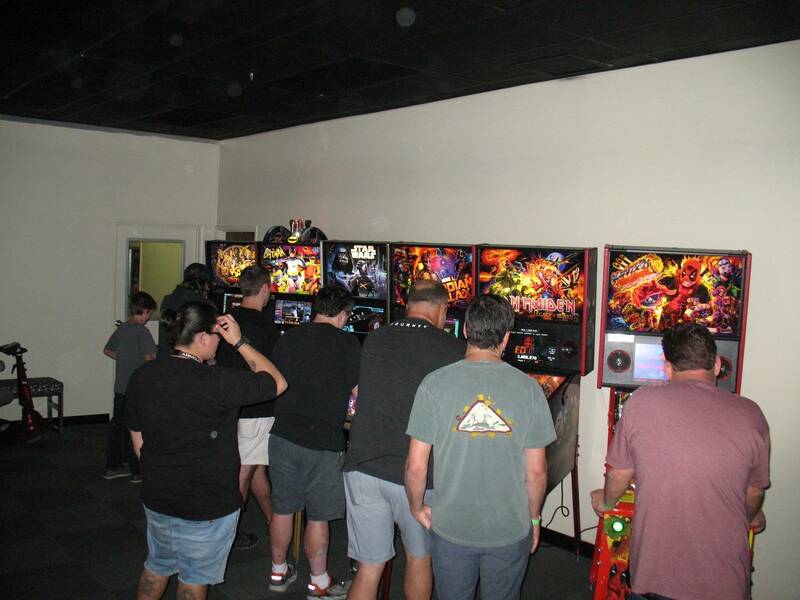 I notice that lots of people who are passionate about pinball haven't been there. Can't wait to go and see it all in person. As I mentioned I'm working up an Excel spreadsheet with lots of good info. Almost done. I may get down there for at least one day this year. It’s a great show to tech at. I'll be there. Wondering if they might have some Jersey Jack machines. I'm thinking my next machine will definitely be a JJP machine and would love to get some time on some of them. Quoted from mcbPalisade:Eric, thanks for sharing this - I sit corrected. This is a much better story anyway. The guy I was talking to goes to all the trade shows, expos &amp; festivals but maybe he has never been to Banning. 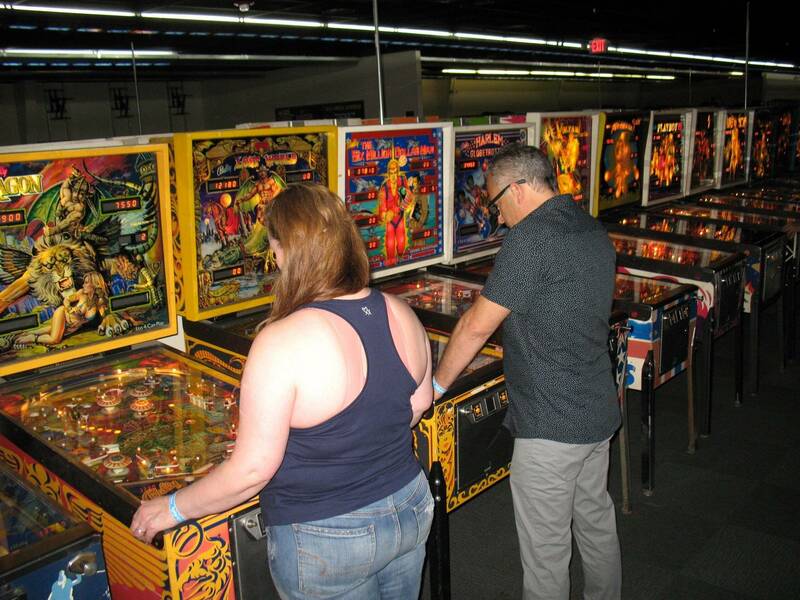 I notice that lots of people who are passionate about pinball haven't been there. Yes its only open basically twice a year, but those events seem to roll around pretty quickly. 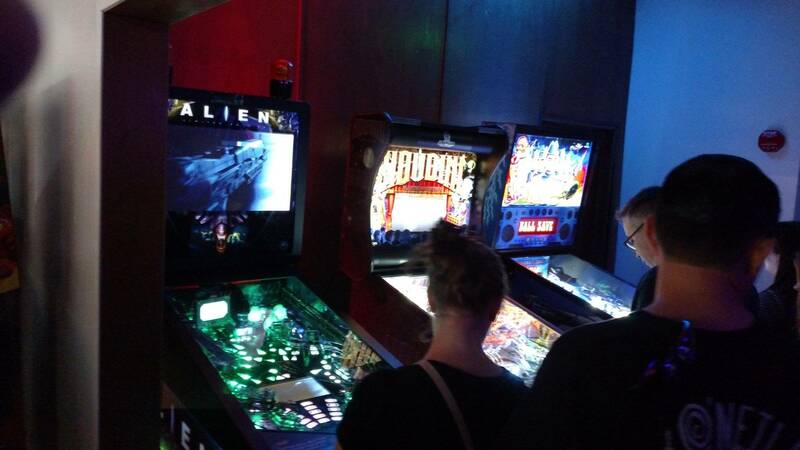 And once you get there, you can play pinball until you puke. And then there are videogames on top of that if you want that as well. Great! The collection is awesome and everything plays great. My #1 favorite for now is the Firepower. 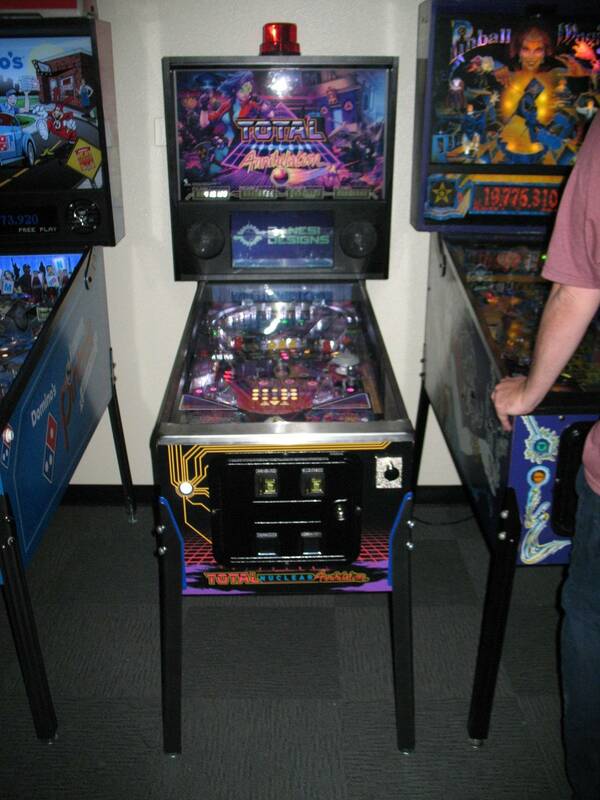 Also Xenon, Fathom, T2, Eight Ball Deluxe. The T2 is always the hardest one to get onto it seems. 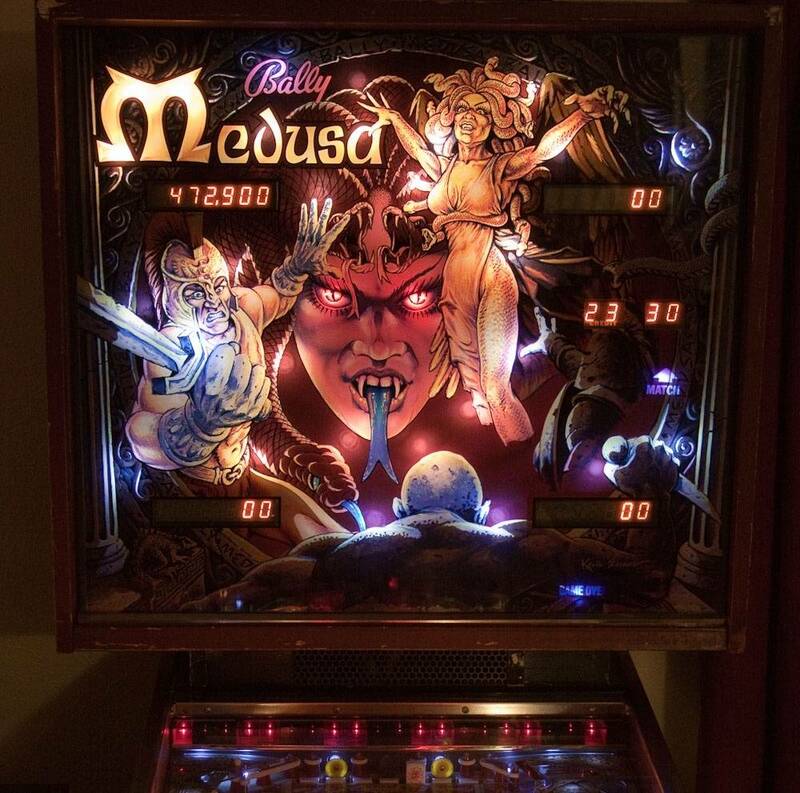 Also great are Metallica, Tron, Addams Family, Twilight Zone, and I particularly liked playing Medieval Madness. Time to start getting psyched for this next one! How are the pins organized in the building? Anything to it or just "random"
There are 2 "Wings" buildings. 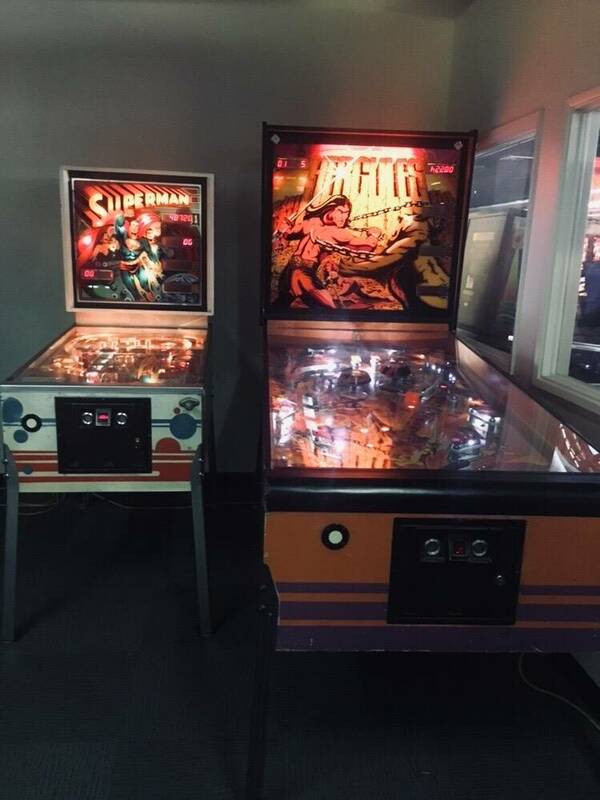 One side is arcade's and vintage coin op, ( I love the old helicopter in a box games). Very organized all pins in rows. There is a modern newer Stern row with most every title , most likely even have a Deadpool now. Many of these Sterns are Premium, few LE. Data East row, older stern, Sega, Bally Williams rows down center, then System 11 rows. The list is endless. Many surprises and wow, Thats Here! There is also close to 300 em's in back area. Spreadsheet done! I'll try to figure out if I can post it directly in a bit. 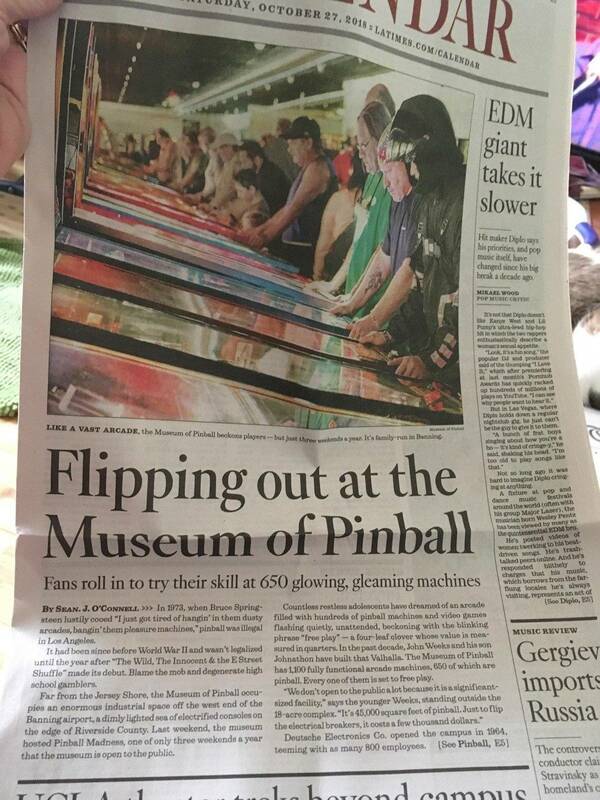 The museum of pinball is not to be missed. I will definitely be going to Madness. Thanks for posting this video. As they say 10,000 pictures are worth 1,000 words ( - : got through about half of it. I noticed some disparities between my list and what I saw. This struck home how hard it must be to keep the list accurate. And you aren't forced to take inventory like a store is so it becomes a harder job. Chuck kindly supplied a list of the video games. "Battlezone" is there (5 copies) so I'm good! Do they sell beer/drinks at this event? I'm not planning on drinking there but parties like this normally include libations. So stoked for this weekend! Will Marco have a booth this event? Doubt it, won't they be at Expo in IL? 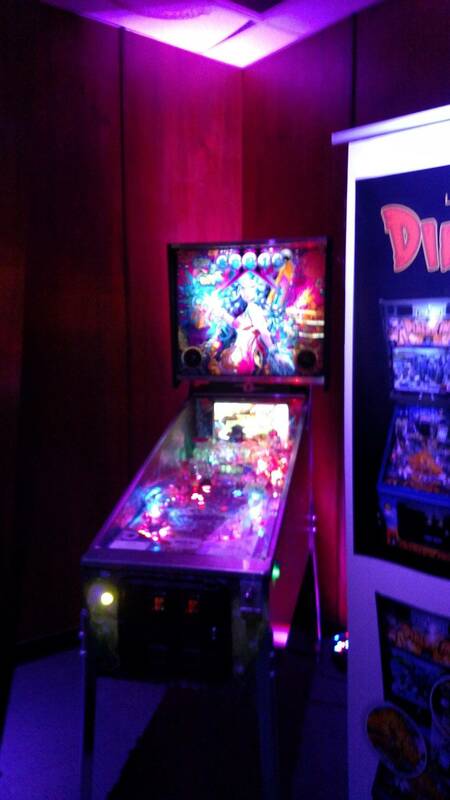 available for play this coming weekend at the museum of pinball; ACNC, alien, houdini, and thunderbirds. preliminary indications are that they are what some of us thought they were. Awesome place that keeps getting better! I don't know if there are booths at this event or not. I would doubt it because this isn't a trade show. If it were, I would probably have a booth as I have 3 other times this year. Leave in the AM! Extended driving trip to include LV, Laughlin & Lake Havesu. 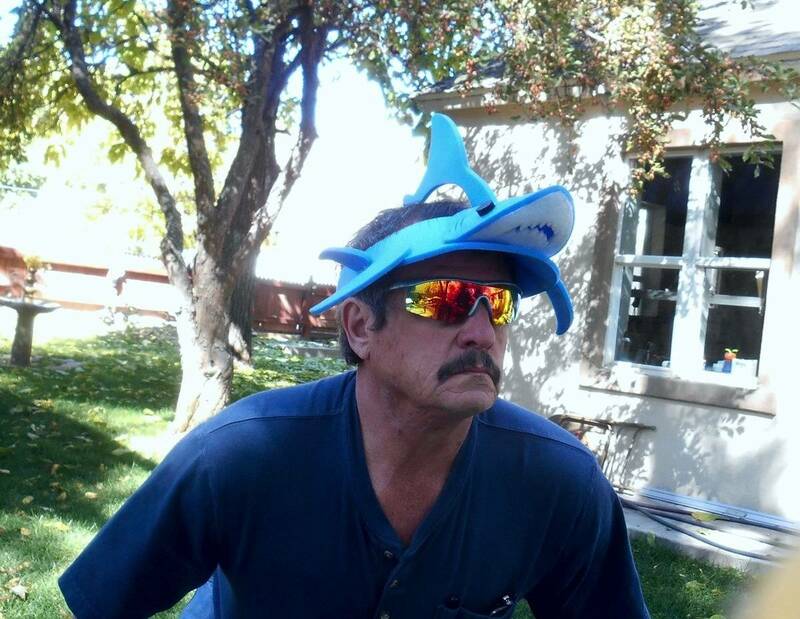 Since I'm in the witness protection program I can't post a real picture of myself but this one shows my stunt double. Please introduce yourself and, since I'm a rich benheck pinhead, I'll buy you a beer! I have a couple of boards I can bring with me if anyone is interested in buying them. 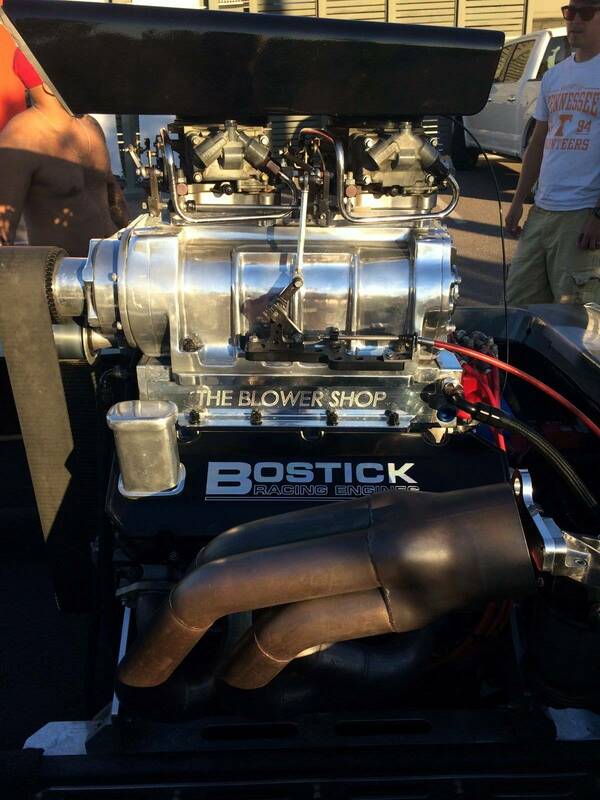 I will be tech'ing at the show Friday and Saturday until about 2pm. Anyone know or hear what machines are going to be in the tournament this year? I was happy to see that they are finally giving the players a little warm up time vs. year's past when you had no clue how the machine was going to play. I know it's equal footing for everyone that way, but it does make it a lot harder not knowing at least a little bit how the game is playing. Thanx for that. I had thought there were something like 800 different pins (? ), but this list shows 537. At the last event, there were a room of them -- possibly including some Zacarias they were having problems being able to service -- that were slated to be auctioned off. No idea what became of those, and whether this amounts to some that should now be crossed off your list ? Its a great chance to try all the machines you have heard about and see if you really like them when you play them. That's what I am starting to do now. I play a machine and I make notes in my phone. For example, CFTBL, it looks so awesome and lots seem to love it. But my notes say "too rampy". After playing it a few times, not sure I like it so much to get one now, but I'll try again. My one wish is that they would have an EATPM. That's one I really think I would like, but I've never had a chance to play it. Actually, I think it is up to 3 "general public" events per year now: this one, "Pinball Madness" (because it is a Halloween themed event, also the newest addition to their annual calendar; the whatever-it's-called "Festival" that they started tacking on to the big INDISC tournament in January; and the Arcade Expo edition #__.0. 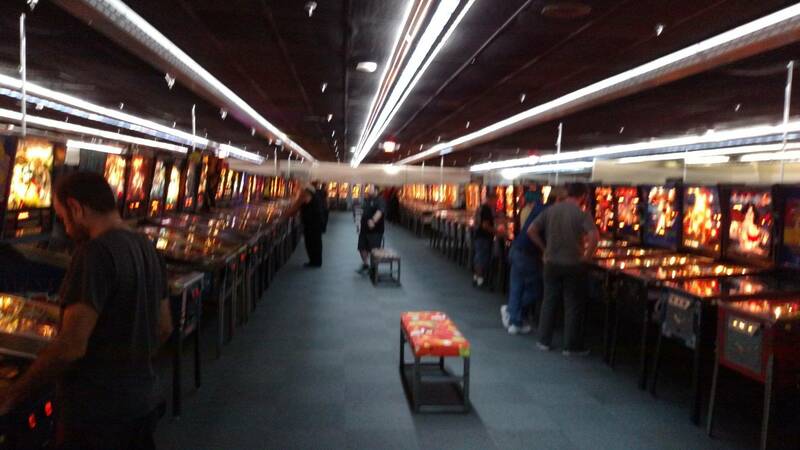 From what I'd heard some time ago, the limited # of public events they hold was due to a particular deal with the electric utility, and some sort of zoning / licensing legal restriction affecting the # of entertainment machines you can have in operation in one place at one time (?) But I had thought that 501c organization &/or museum status could get you an exemption from the latter ? 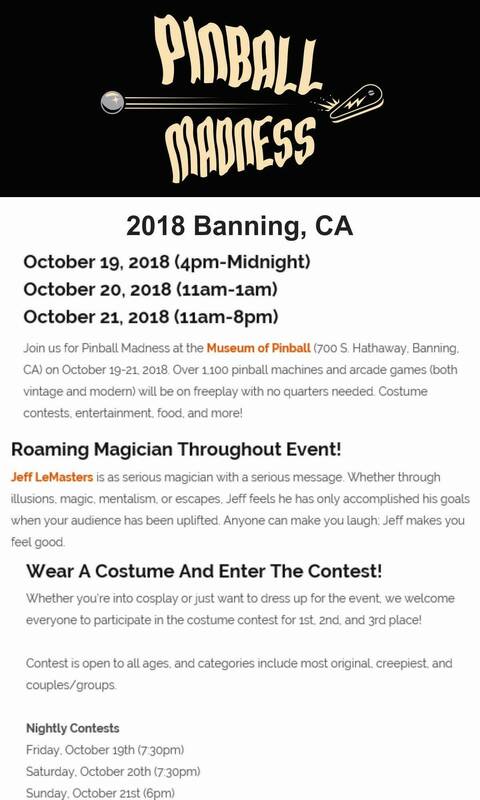 Is Pinball Madness located at the same address as the Haunted Maze? Its the only address I see on their website. Yes...and Yes. 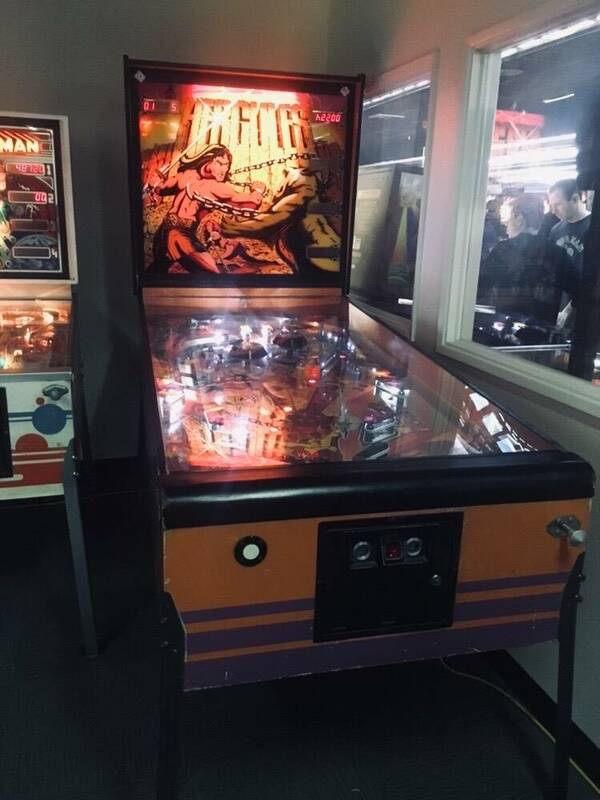 Just punch Museum of Pinball in banning, it pops right up. Is there generally lines for popular machines? 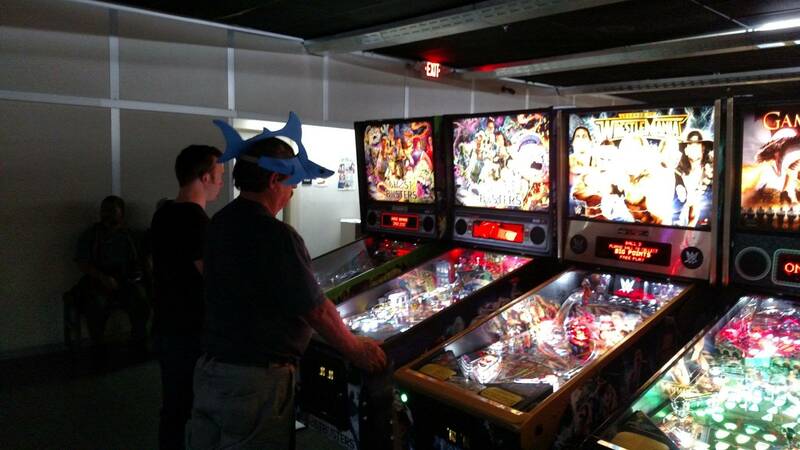 Is there an etiquette of how many games you can play before passing to the next pinhead? With 800 games, not a lot of waiting. Maybe only line will be Aliens. Yes, we have maybe 40 of those stools around. I'll be there too. Thanks everyone for all the info. Excited! COME ONE , COME ALL! Today's the Big Day and the museum is packed with new games, old games, Ems and video and classic games. Tons of fun to be had and funhouse to Boot. See you all there! 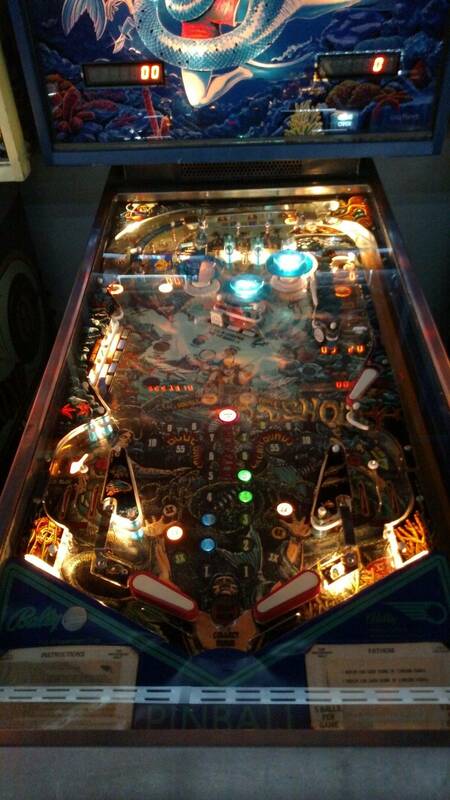 It's wide open, play all the pinball you want. My forearms are already bulging like Popeye. Excited to be there all day tomorrow 1pm to close. I'm trying for noon but I'm not driving Veronika is, I can't rush her. Hell yeah!! Glad to see the pins are configured like they were earlier this year.... is the Arcade section also open in the other room?? That was pretty empty when the photo was taken.. was that right when they opened today?? I imagine tomorrow and Sunday a Larger crowed will come.... like myself! Those pics were after it had been open a few hours. It never got much more crowded than that. 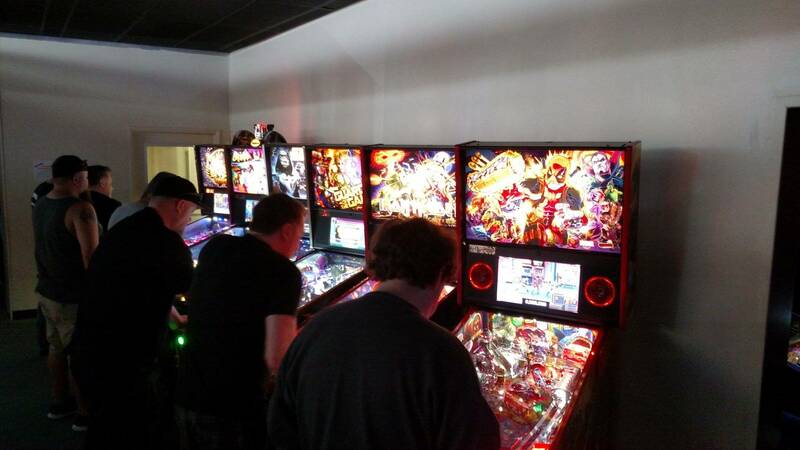 That’s the first time I made it there on Friday, definitely the best time to go if you just wanna play as much pinball as possible. I got my fill of some of the ones that usually get crowded: Firepower, Fathom, Tron, Xenon, T2, TZ, Addams Family, Medieval Madness, etc. No problem to play GOTG, Batman, Aerosmith, Star Wars, Ghostbusters etc. The only ones that had a line of several people were Alien, Houdini, and Thunderbirds. 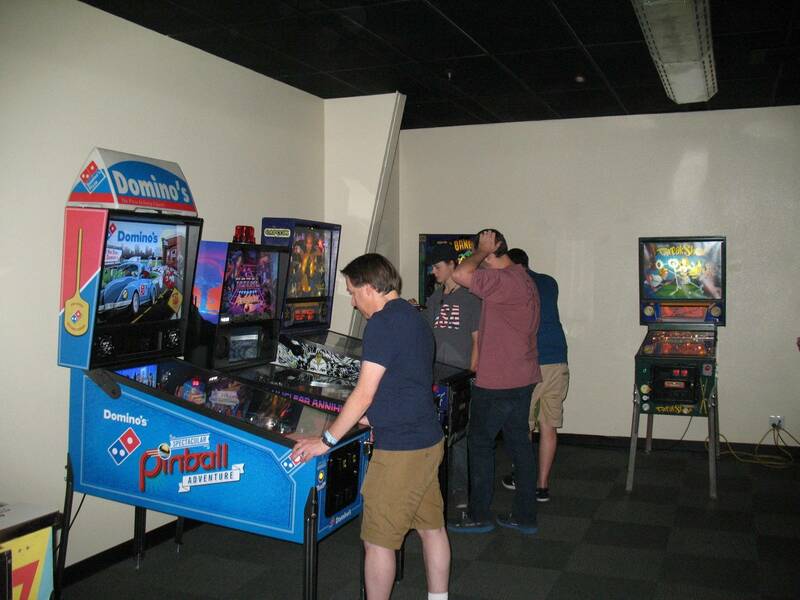 Arcade room was open also, and no problem playing anything you want. Couldn’t have been more than a few dozen people in there, mostly playing around on the newer stuff. Did some Millipede, Space Invaders, Pole Position, Galaxian, Zaxxon, Track and Field, Missile Command, Asteroids and others, all no waiting. Pengo was down I love Pengo. It’s an unbelievably awesome place. It’s hard for me to fathom that it even exists.